I have a feeling my friends Robyn and Bev are going to like this one! This is the first drawing I did a year ago when I picked the pencil up to draw (and then later to paint) for the first time since I was young. It’s not the best drawing in the world, but I was pleasantly surprise to see that creative talent was still in me. 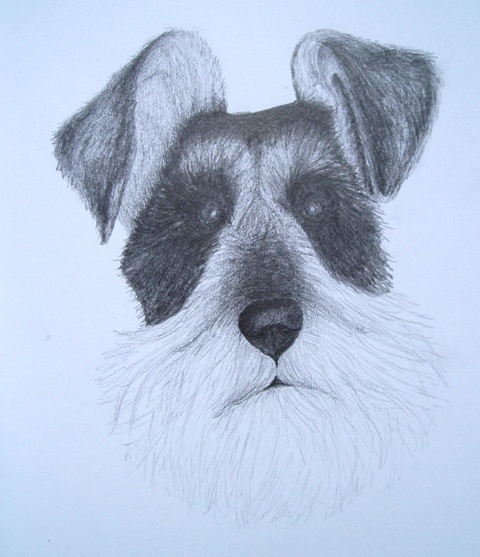 The drawing is of our four legged furry “child” Molly. I love the photo of her even though she’s having a seriously bad hair day (yes, dogs have bad hair days too – Molly has lots of them!). 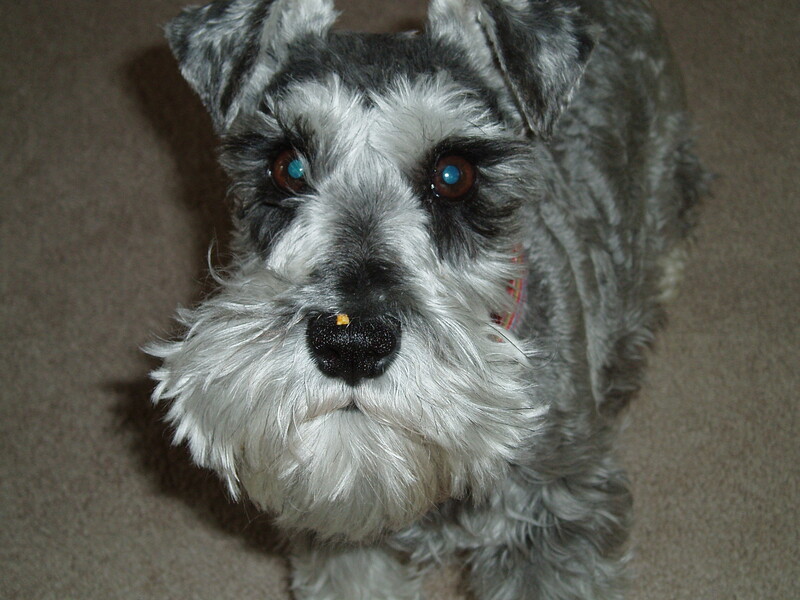 If you look close you can see something orange on her nose – that’s a Doritos crumb. We really should have named her Bissell, because she’s like a small vacuum cleaner always at work – she really comes in handy around dinner time. Some of you thought I was a really good house keeper – now you know my secret. You are right, I love it! Molly is adorable and I’m loving the Dorito crumb on her nose. I’ve often said that my two should’ve been named Hoover and Kirby for the same reasons. I am truly enthralled by your talent. When and where can I buy some of you art? And YES! I am serious. This is what I’ve been looking for to have in my home. AWESOME WORK! Bev, Molly says thank you for the kind comments! I dont’ have any of my art for sale yet. I’ve had several people ask the same thing. It takes me forever to paint something – I’m slow as Moses! Right now I’m just painting for gifts and for fun. Maybe once I get a little more skill behind me I’ll be able to produce more art and sell it. Thank you though – that’s very sweet of you!